KRIB is a new product that will provide hot water whenever you need without turning the heating on or turning the immersion on. 2. Is this different to a hot water heater? Yes, you do not need a hot water heater separate to your heating system for example in your kitchen. KRIB works with your existing tank but provides you with a new smart heating control. 4. What is innovative part of KRIB? Simply put KRIB provides a household or business with hot water on demand and only heats the water that is required. 5. What type of heating system/fuel does KRIB work with? All of the standard heating systems such as Oil, Gas, Heat Pump and Electric Immersion. 6. Do I need to purchase a new tank? No, we have a new build option or retro fit that will work with any age or type of water tank. 7. Why do I need to change to my heating controls? 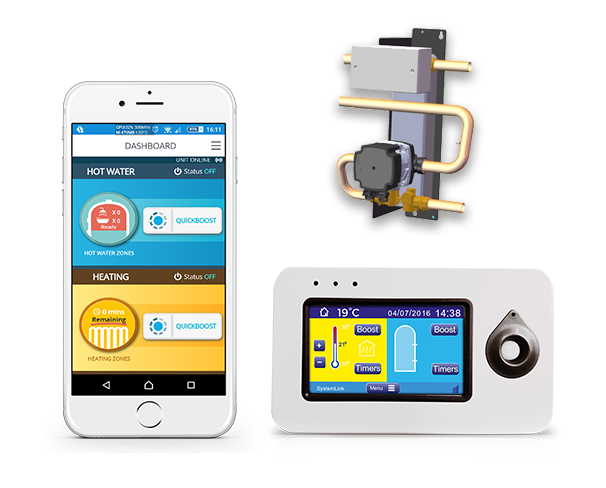 Heating controls and technology are constantly changing, The KRIB heating controls, is more efficient by delivering water faster to your home and cost effective. 8. How is KRIB efficient? The KRIB product only heats the volume of water that you require thus saving energy, monies and time for all. 9. I need to replace my water tank in the hot press will KRIB work? Yes, we can supply you with a new tank as well as the KRIB product. 10. Do I need smart heating controls such as KRIB? 11. Can I turn on my heating from anywhere? Yes, KRIB heating controls is fully mobile and you can control your heating and hot water from anywhere. 12. Can I easily adjust the heat output from radiators in the rooms I most use? Yes, if your radiators are thermostatically controlled. 13. Do I have a temperature control for my boiler with the KRIB product? Yes, this is included as standard with the KRIB Product. 14. Have I got a separate temperature control for your hot water cylinder? Yes, this is included as standard with the KRIB product and in fact we offer the most efficient and fastest product in the market for temperature control of your hot water demand. 15. Do I have a separate time control for my hot water cylinder? 16. Is the KRIB heating controls a zoned solution? Yes, this is included as standard with the KRIB product and the zones are based the areas you define and can be changed as life changes. 17. Should I divide my house into zones? Yes, as this provides you with cost savings and energy efficiency, with KRIB you can designate 5 zones. 18. Will my new KRIB heating controls have a 7-day programmable timer? Yes, this is included as standard with the KRIB Product and not only a 7-day programmable timer, the easy to use controls will allow you to plan for the unexpected or expected visitors and seasons. 19. Boiler Interlock – Is this important and can KRIB heating controls do this? Yes, Boiler Interlock is important and it is a method of interconnecting your heating system with controls with your boiler to ensure that the boiler only operates when needed. KRIB performs this function seamlessly and it will be completed during the installation. 20. Can you pre-set the time period required for water heating and the temperature that the water is heated to? Yes, you can pre-set the KRIB controls to heat water when required but not only that with KRIB you only heat the water required by your household and not the whole tank. 21. Will I need a lagging jacket on my tank? Yes, but with the new tanks we supply the insulation is fitted on to the tank there is no need for a lagging jacket.